WARNING - This is an emotionally loaded post that may feature non-traditional wedding gifts. 1) Today is the 11th anniversary of the wedding and marriage to my best friend and true "team-mate" in this crazy adventure we call life. For that, I am very fortunate. I was watching my daughter's junior kindergarten "graduation" slideshow the other day. As I saw all the sweet faces, they played the song from our wedding. I'm not one to get overly sentimental; but in that moment, I realized life has truly flown by. In a blink. Bittersweet, I tell you. I'm aging myself, but were married young. 2 kids + countless travels + 6 homes + 3 cross-country moves + 4 cities + multiple jobs = a whole lotta love in 11 years! 2) It's pride week here in Toronto and I am also fortunate to live in a city and country that is so diverse and accepting. In a season full of unions, it warms my heart to know that we're ALL entitled to a life full of happiness and love. That is a beautiful thing. All year and every day. Love You (Art Print) - We've selected some of our favourite tunes and made the lyrics last with this smooth white print (100 lb. stock) with rich black ink. Gold Lettered Globe - Dream of the places you've been and the places you'll go with this gold lettered decorative globe. Chemex Coffeemaker - Truly a work of art, the Chemex coffee maker was invented in 1941. It brews coffee without imparting any flavors of its own. Form meets function with this beautiful coffee maker. You can find these in Canada via Giftagram and Toronto's very own Pilot Coffee Roasters. Vintage Marquee Letter - New, vintage or handmade. Any couple would love to display their initials or a kindred word on the wall with marquee letters. Check out salvage and antique shops, or get your hands dirty and go DIY. Foreva (Greeting Card) - Foreva. A special edition in our Six Letter Sentiments series. Who says you can't speak volumes with only six letters? A short and sweet way to congratulate a couple. Unless, you know an Eva. We're sure she'll love it too! Landyacthz Longboard - Long walks are nice, but what about a longboard? Keep the fun alive with a Landyachtz Longboard so your couple can cruise together. I bought one of these a few anniversaries back and it's a keepsake in our house. We all love it. Plus, Landyachtz is proudly Canadian! Sleep Under the Stars (Art Print) - For the couple who vow to sleep under the stars forever. 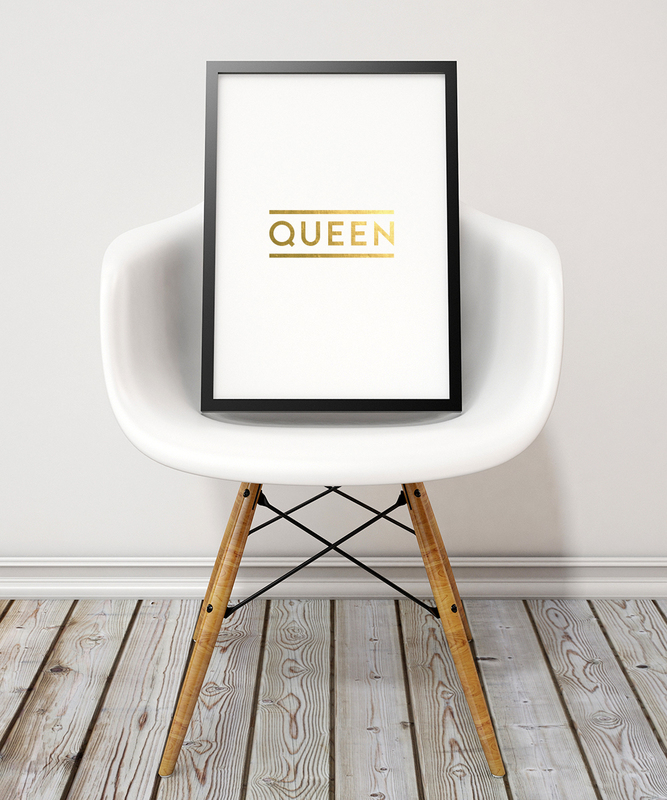 This rich black art print with luxe gold foil will last for many moons. King + Queen, King + King, Queen + Queen they all equal love and you can mix and match our Subway Glam prints to suit your couple. For the more traditional, but thoughtful gift you could gift the gold lined espresso set by Montreal's Atelier Make. All of their fine porcelain is handmade and exquisitely dreamy, yet classic. They also have lovely serving trays. Couples always need serving sets too, so why not this gold set from West Elm? Finally, our Oui Oui print. Afterall, they did just say I Do, I Do.